Above a line up of Wright StreetLites at the recent NEBPT event at Gateshead Metrocentre. 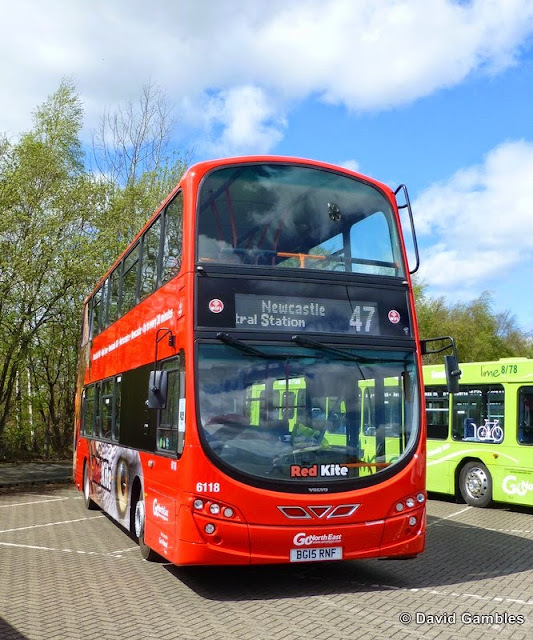 The StreetLite is proving popular with north east operators and here we see examples from both Go North East and Arriva. Below the Red Kite branding has also been applied to this new Volvo B9TL Wright Gemini 2 also on show at the Metrocentre. 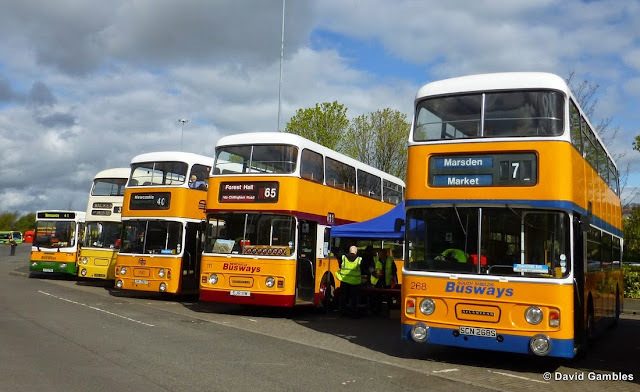 A line up of vehicles that operated in the north east during the Busways and Tyne & Wear era and now preserved. Below another vehicle on show at the Metrocentre event was newly restored Bristol VR with Northern Counties bodywork, in Cleveland Transit livery. Above, seen departing from the Metrocentre is GSR 244 a Commer Q4 with C29F body by Scottish Aviation. It was new to Meffen of Kirriemuir in 1943. It has been restored by north east preservationist Derek Thompson who, due to health reasons, has decided to dispose of the vehicle. Above, recently transferred from the Go Ahead Brighton & Hove fleet is Scania Omnidekka GX03 SUU. Although it has received a basic Go North East livery the vehicle still retains destinations from the Brighton area. 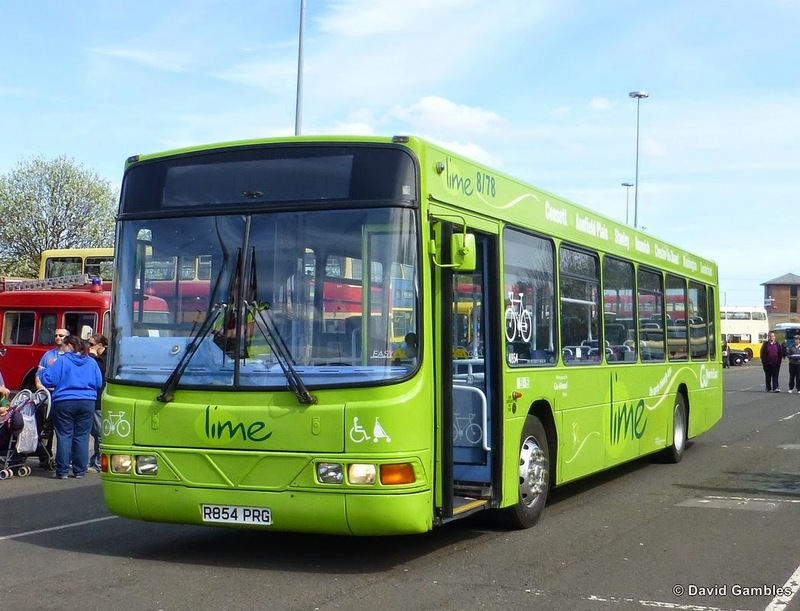 Following the ex Brighton vehicle was Wright Renown B10BLE R854 PRG in Lime livery below. 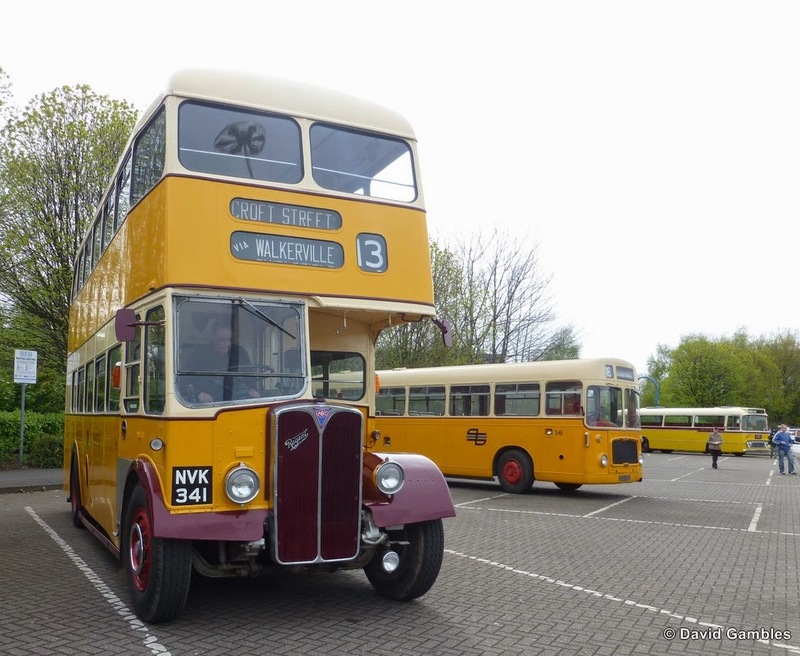 To finish on a preservation note here's David Slater's AEC Regent NVK 341 looking splendid in Newcastle Corporation livery, in company with Bristol RE ECU 201E in Tyne & Wear colours. 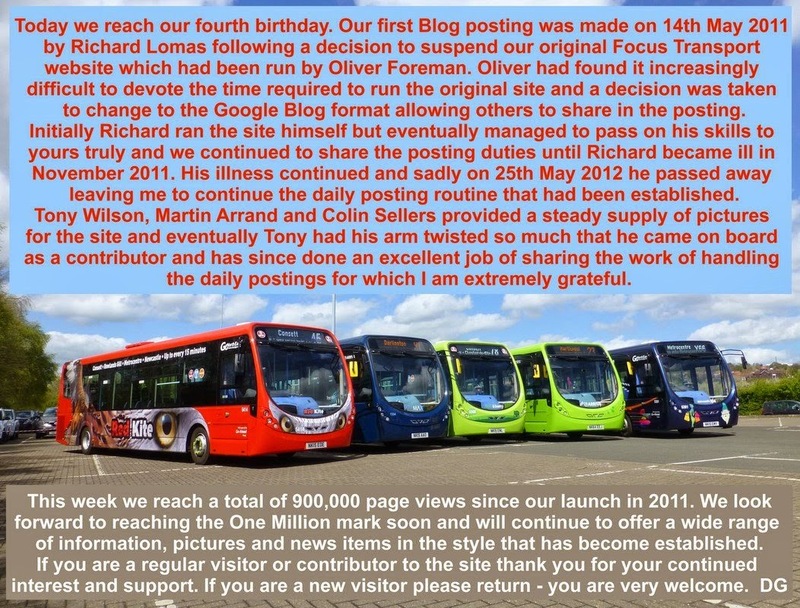 In the background is a Leyland Leopard in Venture livery.